Consumers are constantly on the move and always eager to engage with any brand that will make their lives better. Smart marketers recognize the need to combine mobile into the overall brand experience but, why are so many businesses failing to keep up? Behavior is changing quickly. Consumers may start an interaction on one device on the go, transition to a tablet at home or in the office, and subsequently interact in person. These consumers are expecting a seamless experience that today is fragmented. Successful marketers realize that the experience must be integrated to live up to the brand across all touch points but as marketing channels continue to proliferate, it is extremely challenging to get the full picture of what that individual customer experience looks like. •Move beyond marketing campaigns to manage the overall experience along the customer journey. 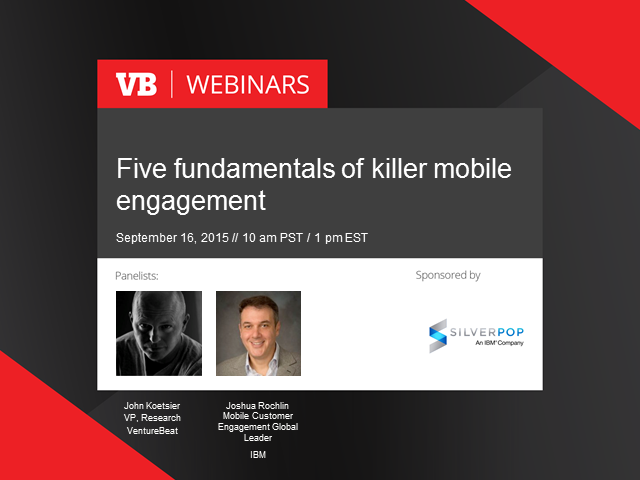 Mobile is driving new engagement models for your clients. Are you ready? Register today!